LGD International team truly taking shape? Dotaland note: After various rumors floating around on reddit and on Chinese sites, figured I’d put something up. What could LGD be doing? Are they really forming an international squad to go with their dominant Chinese squad? 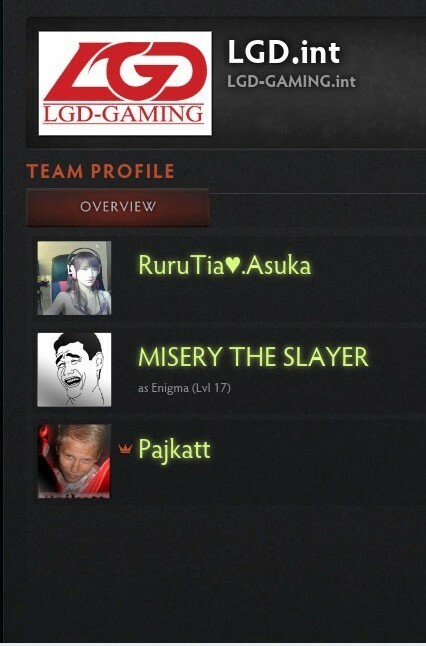 LGD’s DDC has appeared in the Dota2 interface for LGD.int. Additionally, Misery and Pajkatt have appeared as well, and in addition to rumors of God joining, it is perhaps true that LGD is forming an international squad. 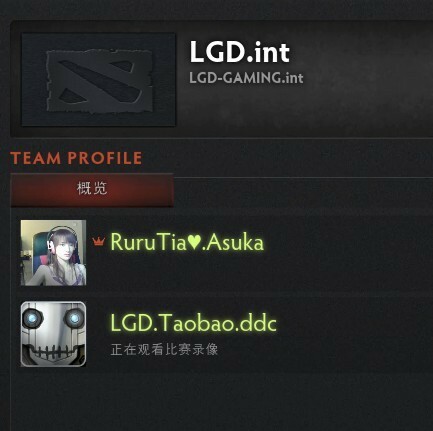 The fact that their manager RuRu’s name appears in both these screenshots must mean something — even though she had previously announced that LGD would make no changes to existing players, that does not rule out the possibility of forming a whole new squad in addition. ← Legendary captain 820 to make a comeback as manager/coach and help EHOME rebuild?